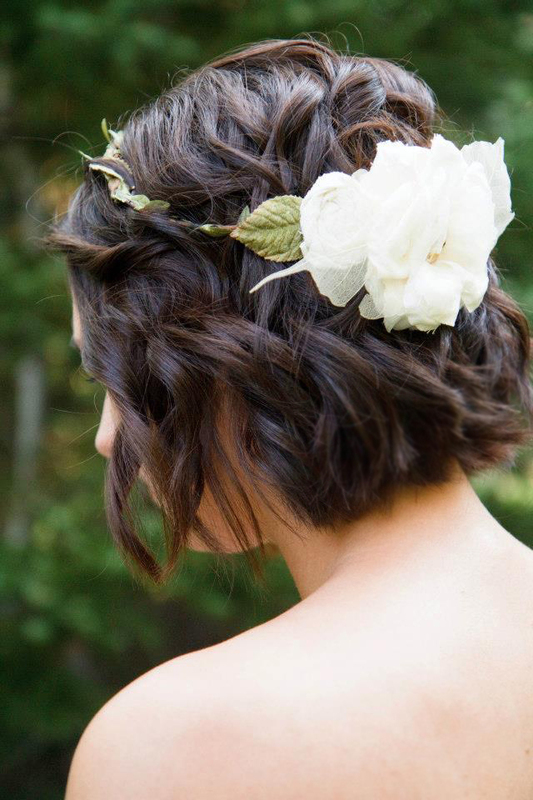 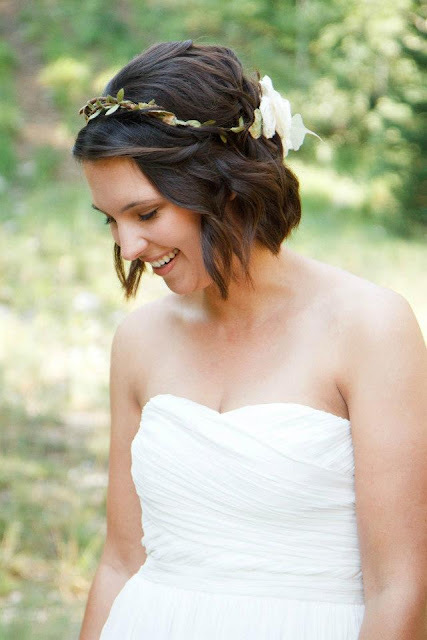 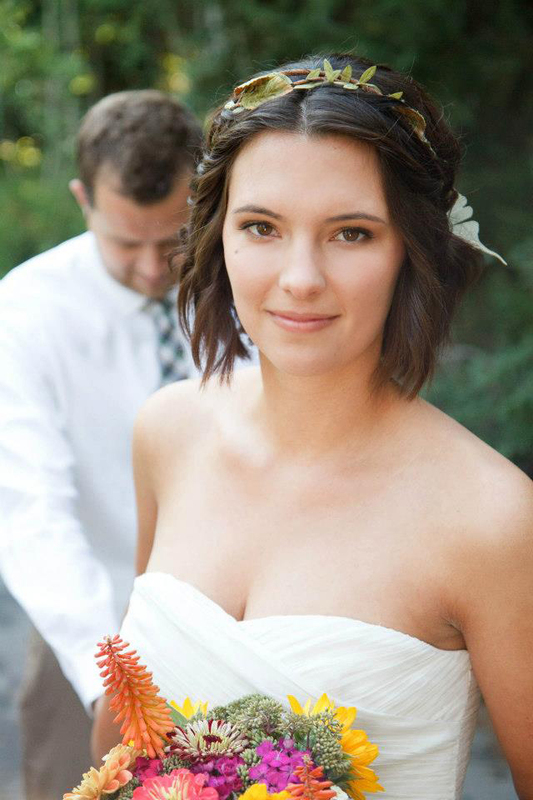 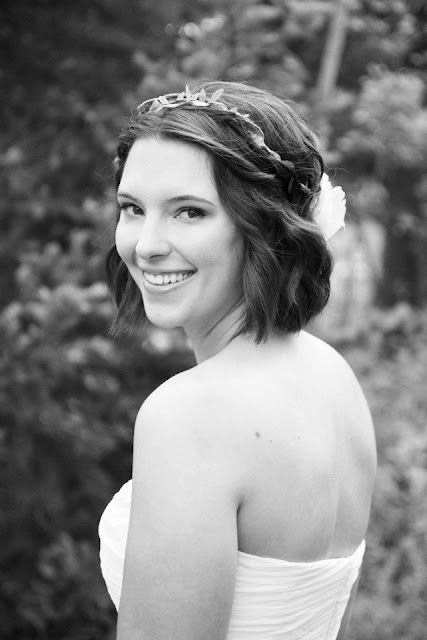 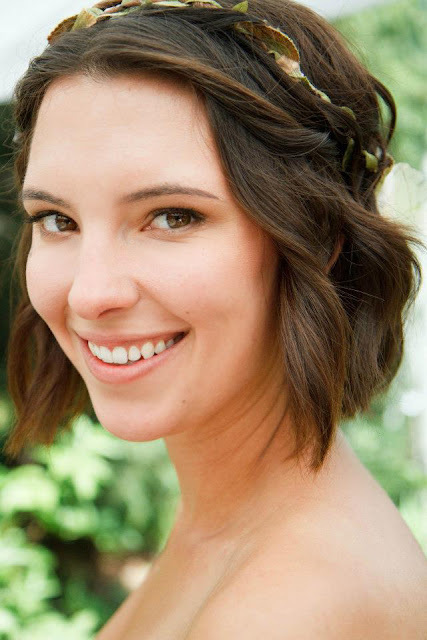 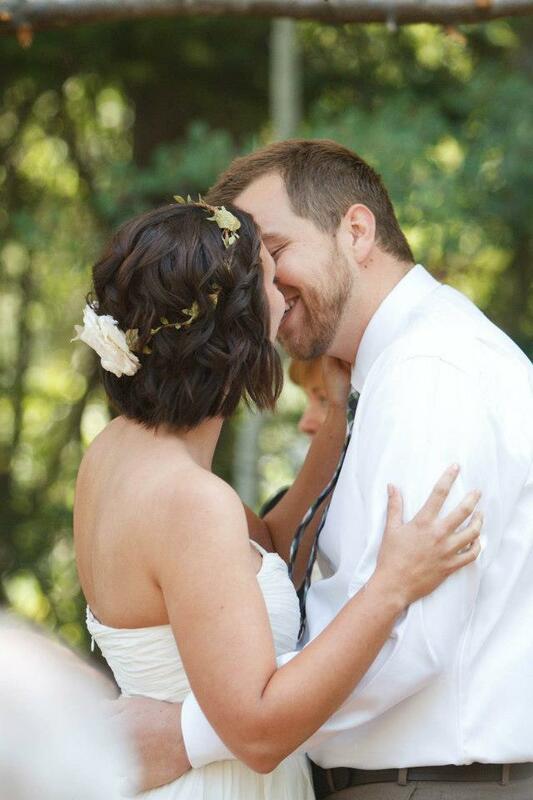 Paige was my cute short haired bride. I love how she dressed up her shorter hair with a cute flower wreath. 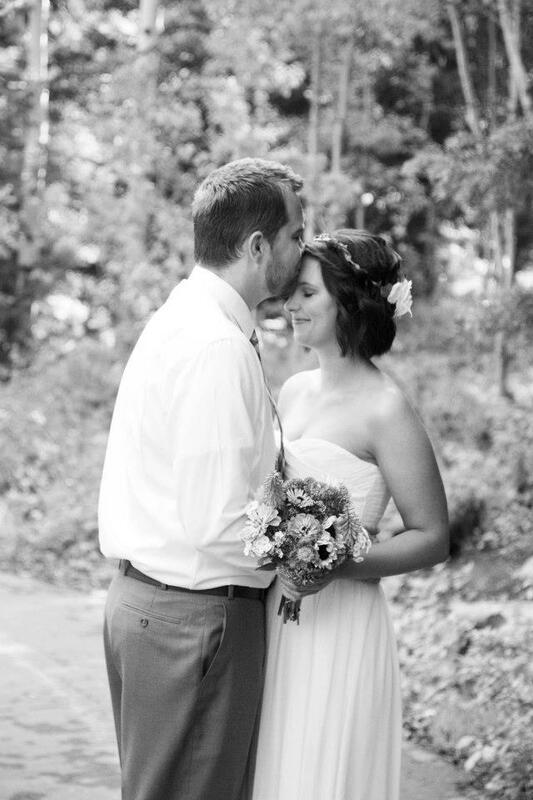 Photos by Kate Osborne.